They say Carlsberg is probably the best lager in the world. 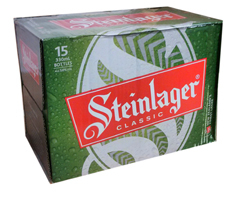 That's because Steinlager IS the best in the world. Im an Aussie but this lager is genuinely one of the best I have ever had!